Ada’s family gets stranded next to a museum filled with mysterious technology. Inside Ada goes on an adventure with playful robots, wise old computers, and makes a new best friend who teaches her how to program in computer language. But they better watch out, the museum’s grumpy robotic vacuum cleaner wants to put a stop to their fun! 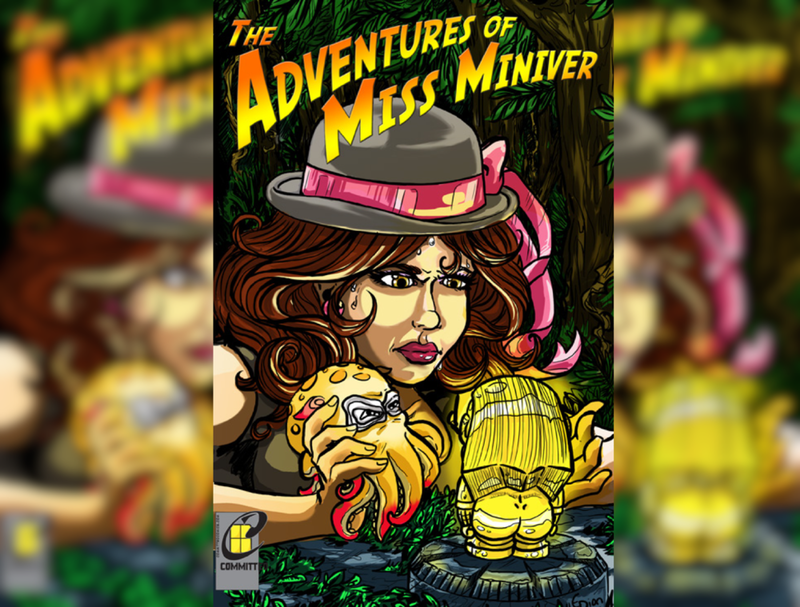 Forget about work/life balance, The Adventures of Miss Miniver is all about geek/life imbalance, teetering between conventions, costumes, fandom, and reality (when she remembers it exists). Amidst piles of scrap fabric, comic books, and convention floor plans Miss Miniver labors deep into the night on her latest cosplay. And in the morning, covered in burns and scrapes, with circles under her eyes… it's back to reality. "In 1969, Stonewall launched a revolution in gay culture and its role in the modern world. Forty years later, Gay City: Volume Two celebrates this ongoing transformation with 69 pieces of queer-themed short stories, comics, poetry, photography and art. Contributors include multi-award winning author, Ursula K. Le Guin (The Lathe of Heaven, The Earthsea Trilogy); novelist, syndicated columnist and NPR commentator, Marc Acito (How I Paid for College); and acclaimed comic artist, Eric Orner (The Mostly Unfabulous Social Life of Ethan Green) as well as many other established and emerging talents."